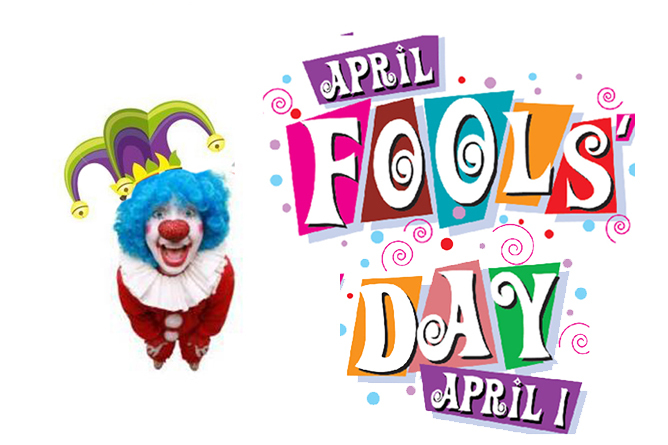 April fool’s day is just around the corner and it is the time of the year when playing pranks and jokes among friends and family are legal. This is one of the highly-anticipated months of the year and people all over the world are already getting prepared for their mischief, just waiting for someone to be their victim. Anybody can be a prey of these tricks, so you have to get yourself ready as well for playful tricks that you might encounter. You might get startled, scared or even surprised, but it’s all part of the celebration and it’s the essence of this joyful event. So now, you don’t wane be just a mere victim to consequences right? I know you want to play the part wherein you will be the one to do tricks and prey on others. The bottom line of all this is that for you to have fun. This isn’t the time to be such a sore loser, instead, just be a sport and get along with everyone else. Tag along your friends and you can do these 10 amazing prank ideas that you could do for fun. Oh yeah! This prank would surely make your victim hate Oreos. All you have to do is scrape all the vanilla filling and replace it with any white toothpaste so that it wouldn’t look suspicious. For this trick, you need to buy onions instead of apples. Dip the onions in melted chocolate or candy so that it would look like real caramel/chocolate apples. Get yourself ready for the mixed reactions from everyone! This would make your victim jump through the roof! Imagine waking up early in the morning just because of an alarm. Just see the look on their faces afterwards. Pack a snack or sandwich in a lunchbox and sneak a cockroach toy or any bug toy in to the packed lunch. Just expect that the lunch you prepared will be thrown into the garbage can or tossed into midair. Attach an air horn underneath their seats. Your victim will surely fly out of their seat, and that would be epic! Swap the signs on the men’s and ladies’ rest rooms. Be ready to laugh your heart out! Using all the eggs in the refrigerator, hard boil all of it and put it back to the carton right after. Out it back inside the refrigerator and ask for someone to cook these eggs for you. Find a car in the parking lot and create a loop of shopping carts and make sure not to leave a space where it can escape. Now, this is a very good prank to throw in an office. Buy as many fake rats or toy rats as you can and place them all in a certain room or pad of one of you office mates. This prank is something that you need to do creatively. Make you own fake coffee and place it over the pillows, bed covers or comforters as if it was spilled over. Check out your mom’s grumpy face afterwards. Exciting pranks, isn’t it? I know you are excited to try these out. Just quick and gentle reminders though, make sure that when you pull off your pranks, nobody should be harmed. Tricks are only done for the sake of fun. Use plastic, rubber and edible materials in doing your mischief as to protect others. Have fun this April fool’s day! If you have better prank ideas, please do give your comments below.